Included Mini-Machina Delta, 1 Kitty ears! Ordering Time Pre-orders will last 1 month after which I will put in the order to the casting studio. It will take 2-3 months to receive the dolls after that. Please feel free to email for updates at any time. Delta is not shown with kitty ears but she does come with them! Please note that there will always be variation in color from batch to batch. We do our best to match previous orders, but it isn’t always possible! The new teal may not match the old teal exactly! If I get enough orders I will open up white as a third color choice! Once the doll is ordered you cannot cancel the order! Thank you! Layaway is available on a limited basis, please email me for information! Wait do we have to buy the eyes for the dolls? If so what size? I am very interested in ordering this Doll. I would Like to do the layaway option though as I am getting married soon. What are my options? Do you plan to do a tan run later? Will she also come with a helmet like your other Machina? are you going to do another pre-order in the future, or will it be only the one run? I was just wondering if the face up fee covered both heads? DO THEY COME WITH A KEY IN THE BACK??? No they don’t. I’m sorry! thank you so much! :D I’m glad you like her! Honestly, out of all of the BJDs I’ve seen, Delta is by far my favourite! I was wondering a few things. I can’t afford to buy her right now because I just paid tuition and for textbooks which came up to over $4,000. So I wanted to know if I would be able to buy her in the upcoming months. I was also very curious about the eyes. If we wanted a colour could we request it or is it completely random? The eyes are random, it’s just easier on me that way. n.n; Trying to keep track of that extra bit would slow down my shipping times at this point since it’s just me packing and shipping in between my day job! i’ve got a waitlist going right now if you’d like me to add you to it? I should know by the end of November or so if I have any extra dolls left over. I’m also tentatively planning for another release in January or February, but I’m not sure yet. Yeah, it left me almost broke :( But money will be coming in soon so I’ll be recovering slowly. Either way, I definitly want Delta, so please add me to the waiting list! Thank you! Sorry it took me a bit to get back to you! Alright, that sounds fair. Then, if you have a white Delta and white Eta left over after getting to the people on the waiting list ahead of me, please let me know and I’ll buy them in a heartbeat! :) I should be fine so long as duties aren’t extremely expensive. I would be paying full price, not layaway, and I would prefer a white Delta… though she may get painted gold so the color may be a moot point. Scratch that, I would rather have her in mint. I’ve added you! :D thanks! May I be added to your waitlist? so cute!! I would love a chance at this girl, just can’t afford it now. i’m glad you like her. 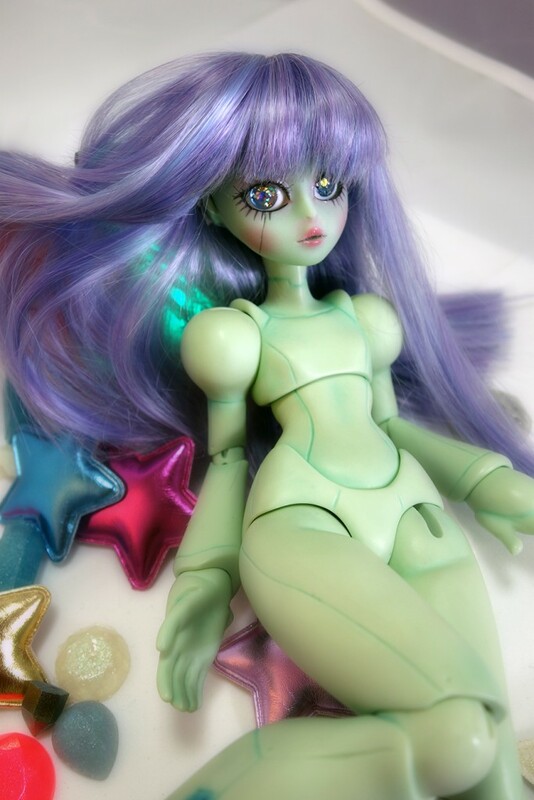 :D I’ll be re-releasing her at the end of January… maybe that will work out better for you then? 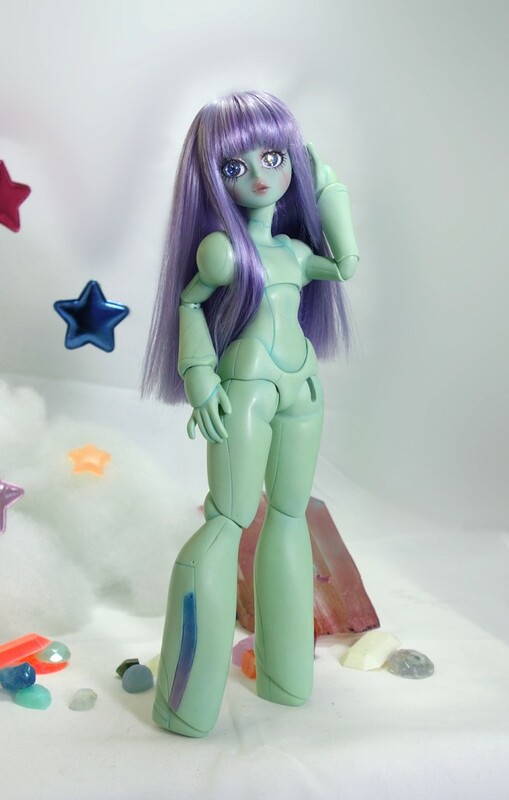 Hey, Just wondering how much a Delta doll (+ face up) will cost me. Thanks!! Casting costs went up, so i had to raise the price a little for second pre-order. She’ll be $320. If you want me to put you on the mailing list so you can be notified when the new pre-order starts in january, let me know! :D thanks! do you plan on bringing back a mecha Delta? also, How much is her body? she’s only sold as a full doll at $325. i can usually do layaway if you need to, but it’s a first come, first serve basis. :3 thanks! oh, wait, here is the proper place to be added to the waiting list for delta, lol. thanks! I’m sorry, the waitlist is full at the moment! I’ll be doing another order at the end of january if you’d like to get on the mailing list? Then you’ll know as soon as ordering opens! Do you cast them yourself? oh yes, I would love to be added to the mailing list. I will definitely be ordering one! Hi! At the moment the girls are sold out, but there will be another pre-order for them at the end of january. If you’d like to get on the mailing list so you know when they open up, just let me know! :D glad you like them! I want..and I want bad! If I hadn’t just bought another doll I would have got one of these girls whenever they come out again. Will there be a blue version? The next release in January is white and either blue or spring green. I haven’t decided yet. :3 i have to wait for the samples to get here. Do I need to be on the wait list for next release? Are there any left now? The dolls are going to be delayed by the holiday, so the main shipment won’t be here till the 26th. The waitlist is full at the moment, but I can put you in the mailing list so you’ll know as soon as pre-orders open up in January! Oh yes please! :3 I am n love with her! awesome! added you! thanks so much! Please add me to the notice list for Delta in January! I think I’m already on your mailing list, but if not could you please add me? I want to make sure I don’t miss the pre-order for Delta. I’ve fallen in love! Added you to it again, just in case. XD They’ll be up in midjanuary! I’m sorry, the waitlist is full right now. However, i can add you to the mailing list for when the new pre-order starts in january! Please add me for the mailing list for the January pre-order. Thank you! They will be up for pre-order again later this month! thanks! The dolls will be $325, an extra head is $60, Face ups are $30, and shipping to US is $20. The total would be $435 for everything. The next pre-order opens around the 14th. If you like me to send you an email when the pre-order opens, let me know! thanks! Oh, she’s lovely! Please add me to the mailing list! Hi! I sent you an email asking tou about layaway, shipping issues and Machina Gamma/Epsilon availability but I’ve received no reply. Also tried to contact you on tumblr. I hope you see my message here. I’m sending the email again, please at least confirm me you’ve received it. I really want to purchase your dolls!! Thanks so much! I’ll add you to it! I just submitted an order for the blue delta! Thanks so much and can you add me to your mailing list! Can you please add me to the mailing list? I’d love to order an Eta and wouldmlove to know when the next pre-order starts. Woohoo! Great news.. Now I’m just having trouble choosing the color I want. Might have to resort to eeny meeny miny moe to choose or just buy once color and the other color later, hopefully. Just ordered one! I hope I did this right! You did! :D thanks so much! Since the dolls are all from the same batch, the heads should match the bodies, yes. If you buy a doll now and a separate head later, I can’t give you the same guarantee with the color. im soory, but im little confused. could you please clarify, the only pre-order color is white, correct? also, when does pre-order end? Maybe sometime in the future… but we’ll see! Hi there! I was wondering if I could be added to the mailing list and also, will you be doing a pink version ever? I would order one of those in a heartbeat! Thanks! So cute! May I be added to the mailing list, please? I’d love to get the heads up next time they come back around! Add you to the list! Could I be added to the mailing list? Hi, I would also like to be added to the mailing list! :) Delta is amazing and actually just what I’ve been looking for. Hi, I love Delta so much, I was wondering whether you would mind adding me to the mailing list. She is so amazingly pretty and beautifully detailed. I was wondering when the new pre-order period in January will open. I’m sorry, but because of Chinese New Year, the pre-order is getting pushed back to March now. I added you to the email list so you’ll get notified as soon as it’s up! I love Delta to pieces, but was just curious if you were planning another head for the Mini-Machina? Added you to the list! And yes, there will be a different head available with Delta this march. :3 You can see a preview of her here! Will you be attending the Dollism Plus convention here in the states in September? While I prefer to have the doll paid up front, I also have a certain amount of layaways I can take. The down payment is $150. But pre-orders won’t open TILL March, so I don’t need any money till then. Does that make sense? Thanks! Your dolls are amazing! Can I be added to the mailing as I am interested in getting one of these beautiful ladies when the pre-order opens up. I was wondering if I cold be added to the mailing list as well~? I have been wanting one of your dolls since I saw your thread on DoA when you were creating them! X3 I’m hoping I can nab one finally. Added you! :D Pre-order should start sometime in March! Hello there! I’ve had my eyes on this doll for forever, love it! Has the pre-order started? If not, can I be added to the mailing list? Thank you for your time! Hi! The pre-order hasn’t started yet, but i will add you to the mailing list! thanks! Can I be added to your mailing list, too? I am so excited for these dolls to be available again! Added you to the list! thanks! A question that I had on this most recent preorder on the mini-machina is are there only cat ears or would it be possible to still get a helmet? I’m sorry, it’s ears only this pre-order. I do have a few white Delta heads that don’t have the magnets for the cat ears, but unfortunately no helmets. I’m sorry! No worries, Thank you very much for the quick reply. I really do think these gals are cute though. I was wondering when pre-orders would start again for the Delta Mini-Machina. Or if you have any layaway options? She’s just so adorable, and I’ve been wanting one for a long time! There’s a pre-order open right now and I have layaway options available. :3 You can email me at batchix @ yahoo . com (remove the spaces) to set one up! Do you know if there will be another run of these lovely ladies? I met a Delta at a con a couple of years ago and am still in love her quirky style! 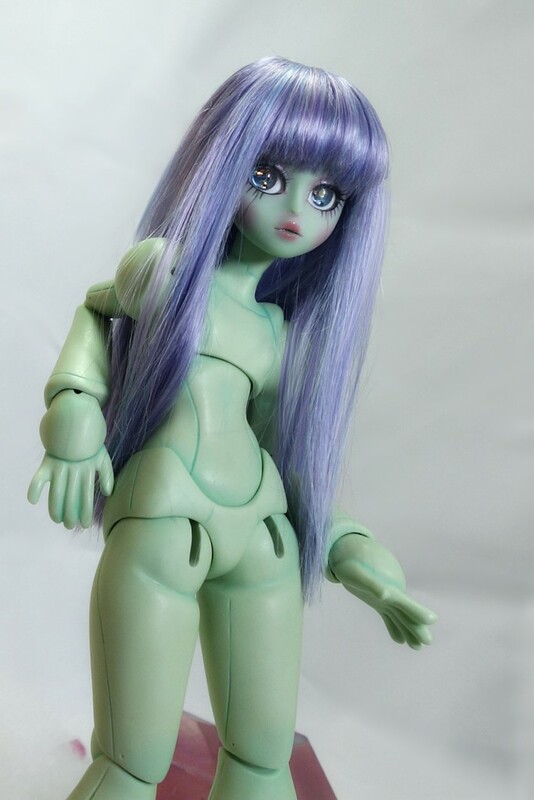 Hi I commented last time but yeah how do u oder these and how much does it cost for one doll for its head and body plz get back to me as soon as possible thank u oh and yeah kinda low on money right now so do know when you will be doing them again if so let me know and sorry for all the miss typing it’s just that I’m from kauai Hawaii and this is how we talk ..
Hi! The mini-machinas are out of stock at the moment. I will do another order for them in january. If you’d like I can add you to the mailing list and I’ll email you when the order opens. They’re $325 blank. Thanks! Could I be added to the mailing list too? I just love them too much to not know when I could buy one. Thank you for your time and your amazing work! I’m so sorry, I don’t have any right now! I hope you were able to find one! sorry for the really late reply!